I know nothing about this collection. It came across my FB feed so I wanted to let you all know of it. Available from this site without creating a membership or at the site below. 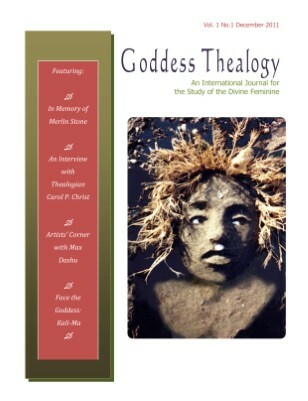 This journal provides the forum for critical exploration and cultivation of Sacred Feminine scholarship as it relates to feminist and post-feminist thealogy, deasophy and praxis. Goddess Thealogy is interdisciplinary in that it encourages the wide range of diverse thealogical and deasophical methods, engagement with the full spectrum of feminist theories and methodologies, and interaction with the social sciences, social theory, philosophy, psychology, anthropology, critical theory, the arts, and the humanities. This entry was originally posted at http://pj.dreamwidth.org/337706.html. Please comment here or there there using your LJ ID or OpenID. This reminds me of the curriculum in Cakes for the Queen of Heaven. That was such a good class. Maybe after I graduate I’ll talk to Jay about holding one again.